Go to kidsfootlockercareers.com or kidsfootlocker.com/careers at first. Choose a job type for yourself first. You are allowed to do choice between home office and store. Type your location and choose a store, click Apply Now to choose positions in this store. Pick a position you wish to consider, again click Apply Now to continue. If you want to think about a job later, put it into job basket. If you once registered in Footaction, Lady Foot Locker, Champ Sports or other sites that connect with Foot Locker, you may receive a notice to alert that your email has already registered. If so, click Returning User to log in. 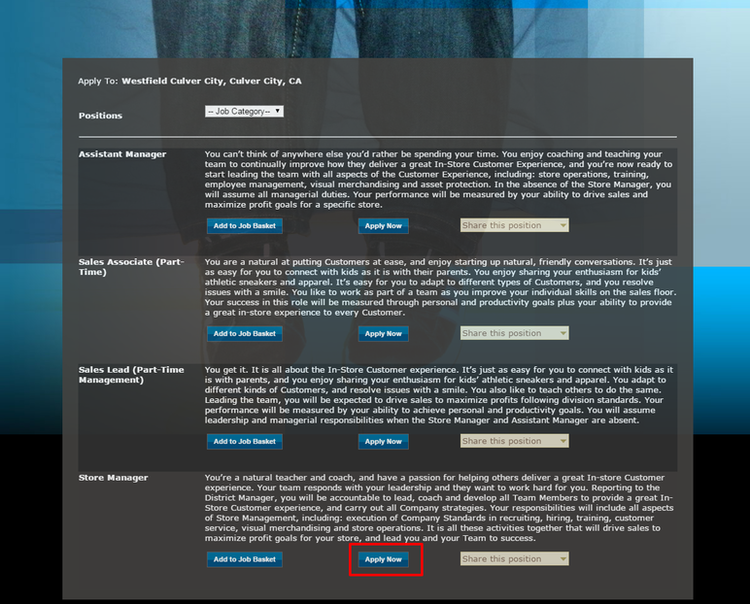 If you are the first time to apply a job on Kids Foot Locker’s site, fill up necessary information to move on. Here is a form including job information and contact information, fill all the required items and click Next Step to move on. If this is the first job for you, choose the relevant option to continue. If you have previous work experience, please fill the form below with necessary information. “Type of Course” means what kind of study that you are pursuing, it can be Natural Sciences, Computer Technology, etc. Fill up the blanks with yellow asterisk. Remember to stress your job relative skills in the big box. Kids Foot Locker requires at least two references. Fill their information in the blanks to move on. Pre-employment questionnaire is quite popular to be used among employers. It takes 25 minutes. There is an uninterpreted version only takes 10 minutes. 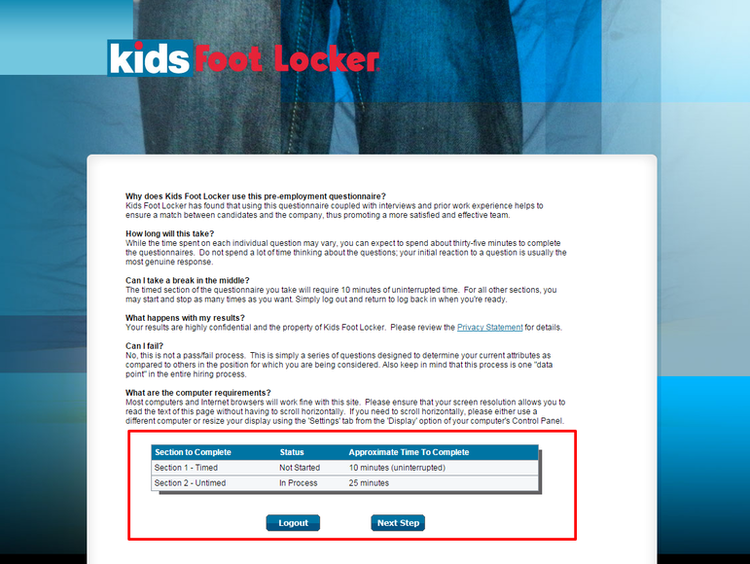 Finish this questionnaire to complete your application in Kids Foot Locker. 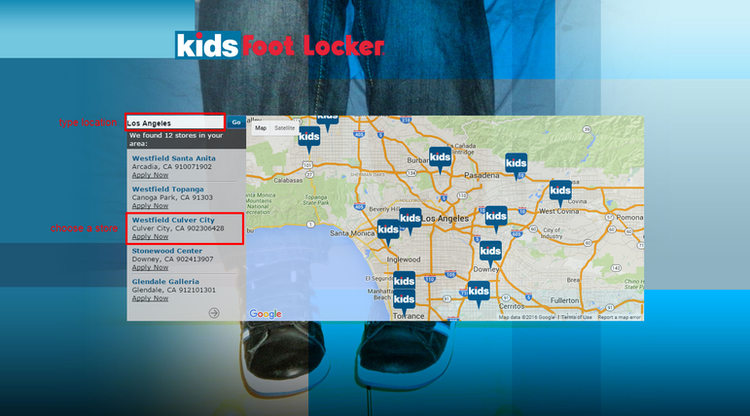 Click kidsfootlocker.com/jobs to apply for Kids Foot Locker jobs online.